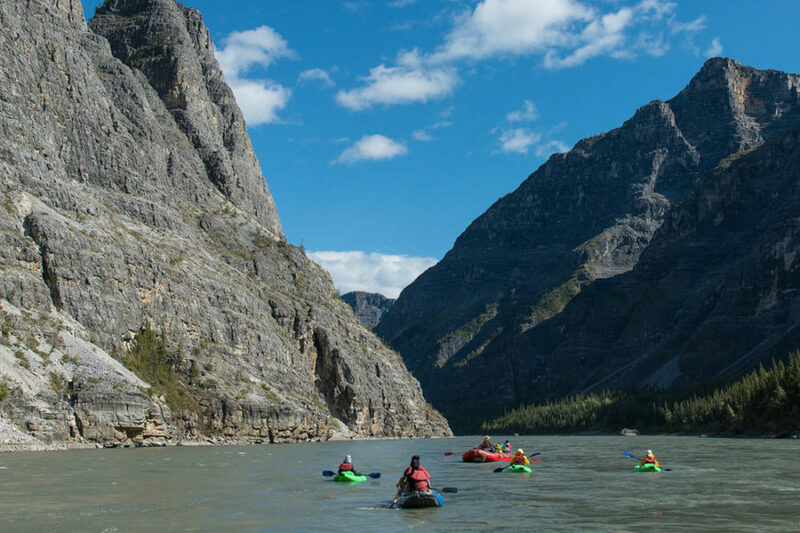 This Nahanni River adventure allows you to experience the Nahanni’s “Grand Canyons” and many of the features for which this historic river is renowned. 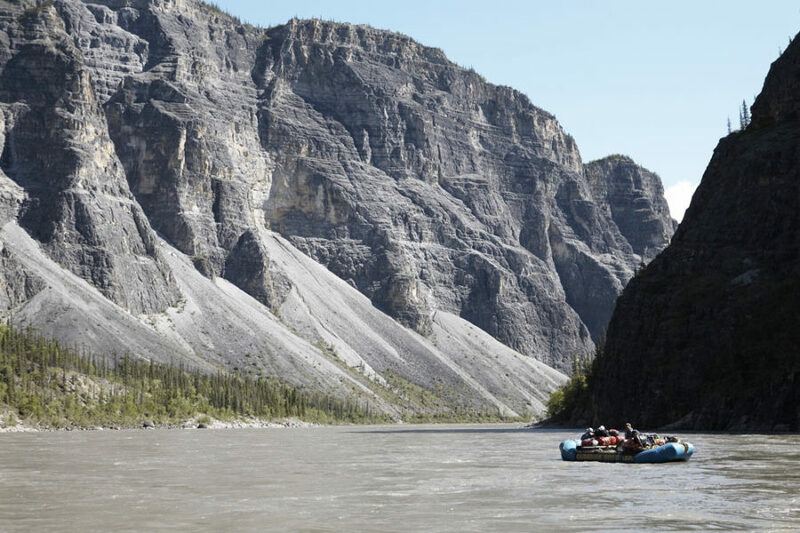 Our Nahanni River 12-day trip covers the same distance as our seven day trip but allows more time for additional hiking and exploring, as well as savoring the beauty of the Nahanni Valley area because… why rush if you don’t have to? 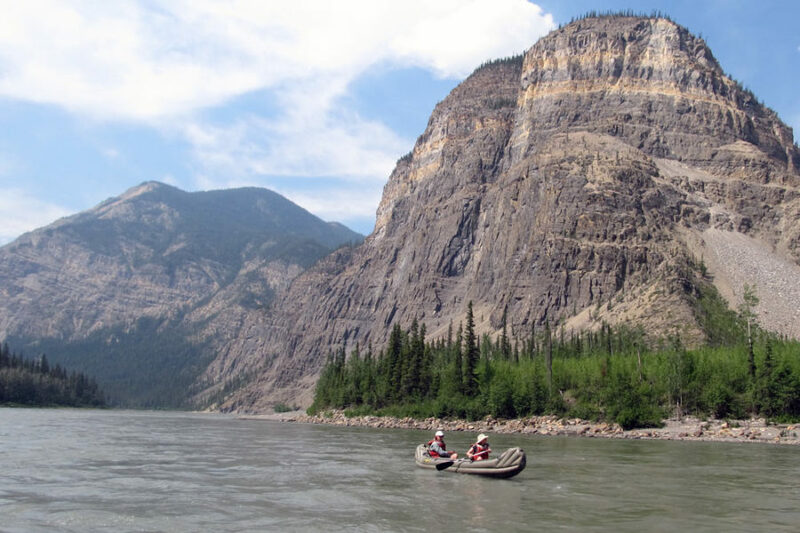 We follow a 12-day route, travelling over 240 kilometres (150 miles) from Virginia Falls to Nahanni Butte. 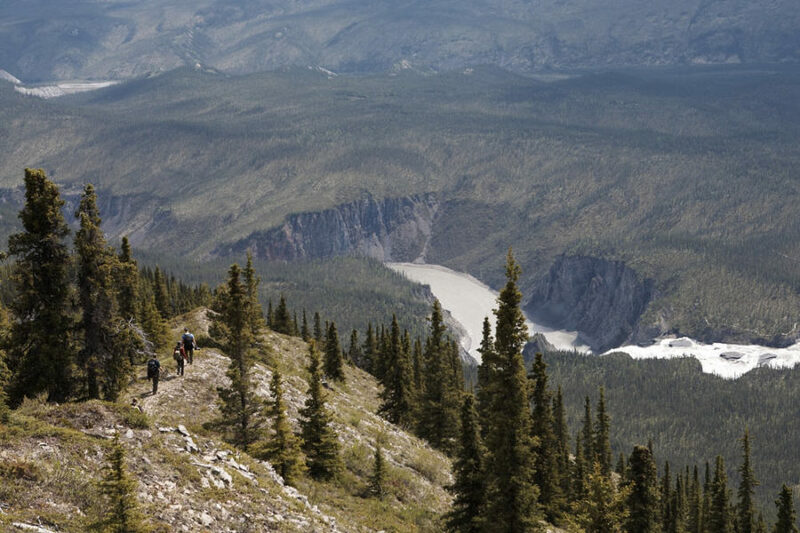 Over this course, the Nahanni River drops 396 metres (1300 feet), or almost 9 feet per mile. 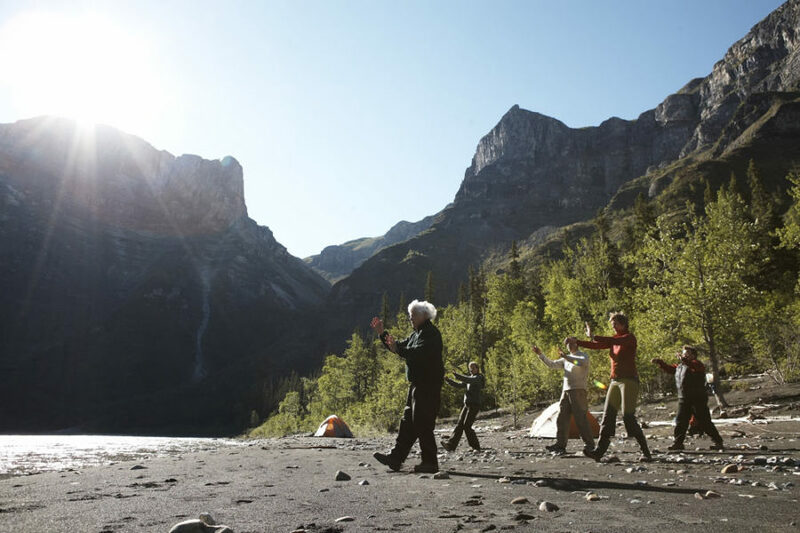 We make it possible for any skill level and interest to enjoy the Nahanni. 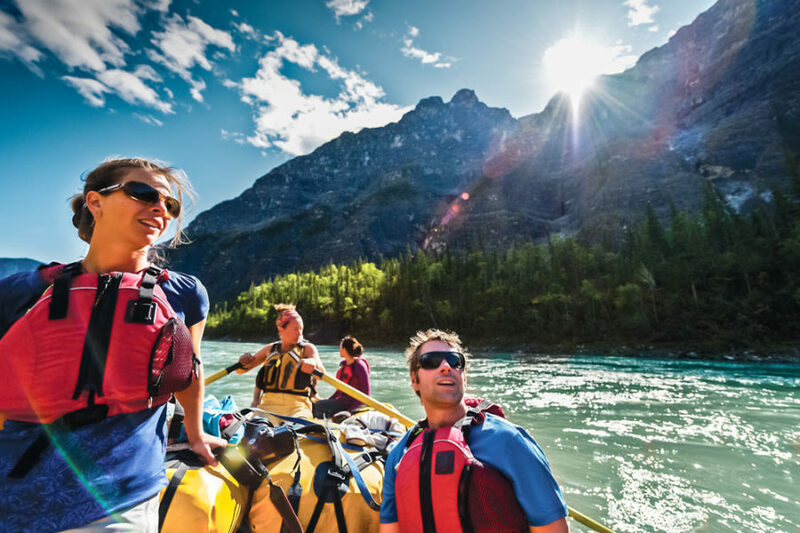 From beginners who would like to raft to white water canoeist. See our prerequisites and contact us for more details. 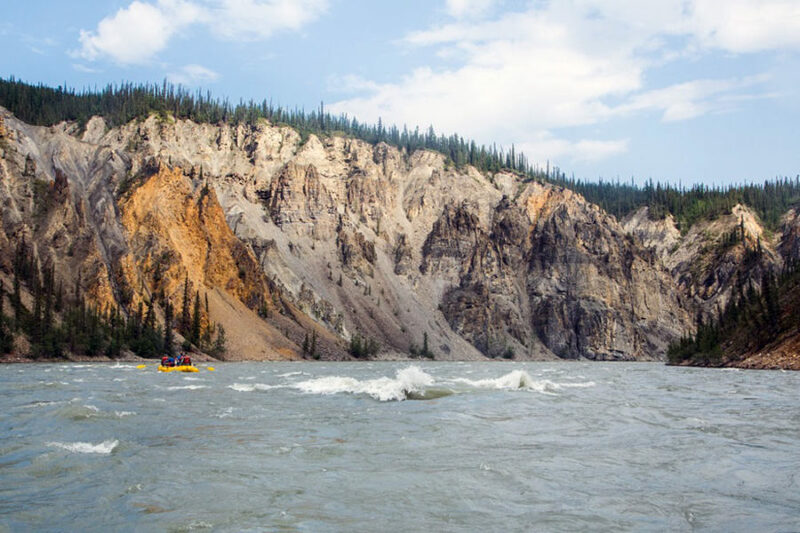 Maybe you’re a sea kayaker who would like to kayak the Nahanni. Try our new inflatable kayak! $125 to rent our solo kayak. Following supper in camp at Virginia Falls, your guides will provide further briefing with the techniques for living comfortably along the river. A short hike and last look at the stunning scenery before bed will remind you that you are in one of the most scenic places on the planet! This is a day for exploring and photographing the area around Virginia Falls (Náįlįcho), nearly twice the height of Niagara. 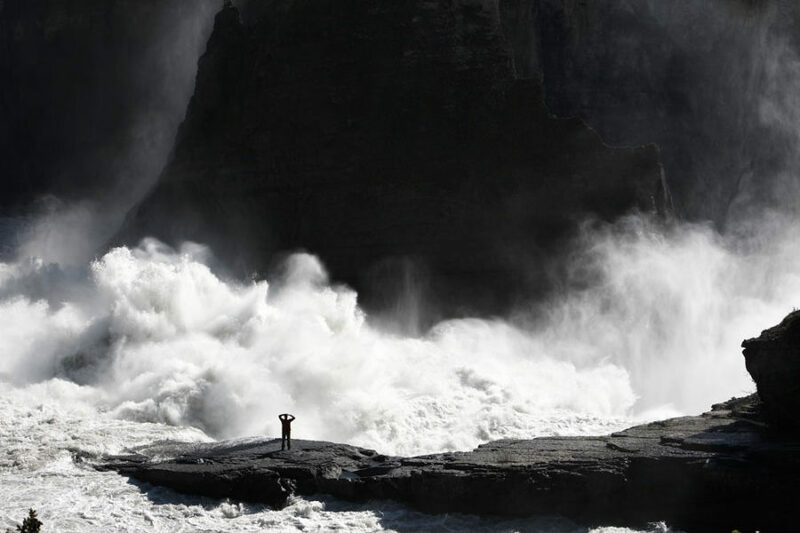 The vast expanse of the falls captivates photographers and hikers with a tireless display of powerful drama. 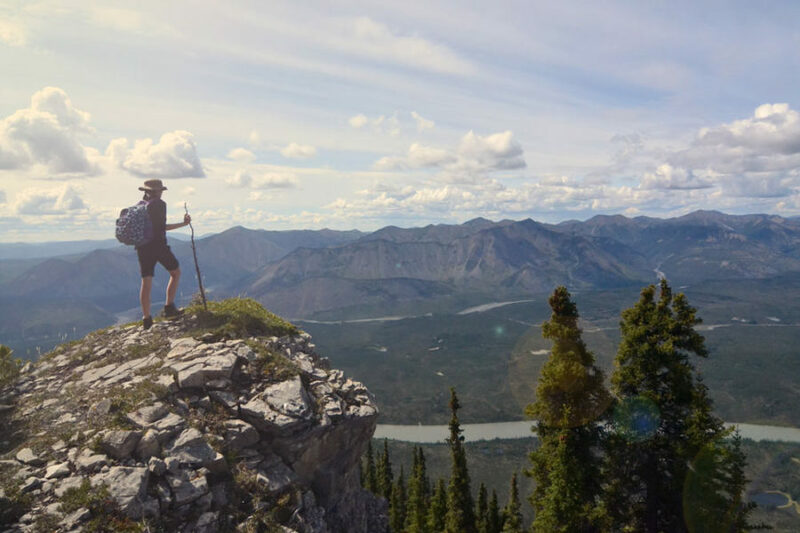 Keen and fit hikers may undertake an all-day expedition to the top of Sunblood Mountain for an excellent view of the surrounding area. 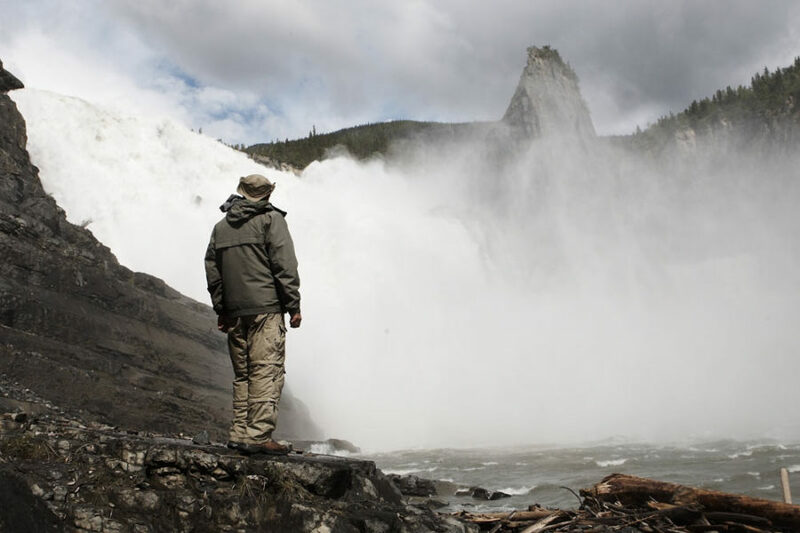 Others can enjoy exploring the expansive area overlooking the brink of the falls. We drift past the confluence of the Flat River and then enter Third Canyon, the walls of which loom 1,200 metres above our heads. This 20 kilometres canyon is created by the river slicing through the mixed strata of shales, sandstones and limestone’s of the Funeral Range. We camp halfway through this canyon near The Gate (Tthetaehtłu ́ah), a 100 metre wide gorge where the walls tower 460 metre above us. In the morning we do a short hike to the top of The Gate (Tthetaehtłu ́ah) and are awarded a magnificent view of Third Canyon and Pulpit Rock. After lunch it’s back in the rafts and on through Third Canyon to camp at Big Bend. On through Second Canyon and into Deadmen Valley (Dahaehtth’į), where we will stop for a spectacular two hour walk up a dry creek bed for an overview of this immense region. After drifting by Headless Creek, we continue on to Sheaf Creek. Here R. M. Patterson and his partner Gordon Mathews wintered in 1928. 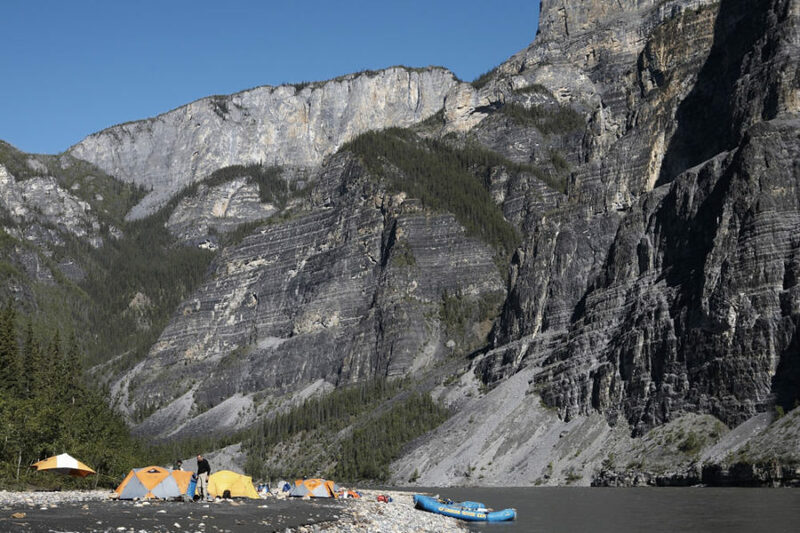 We will camp for the night at Deadmen Valley (Dahaehtth’į). This may be selected by the trip guide as a layover day. 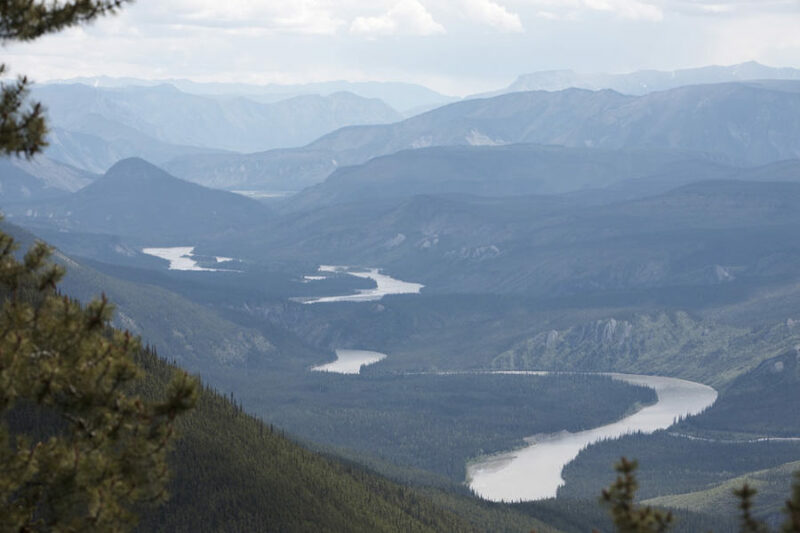 If so you can spend a relaxing day around camp or exploring the massive alluvial fan of Prairie Creek (Tło Dehé). For birders it is the nesting grounds for upland sandpipers, common nighthawks, whitewinged crossbills, chipping and savanna sparrows. Fishermen will find both bull trout and Arctic grayling inhabiting the pools and eddies of the creek. We start the day with a short hike up Dry Canyon, followed by the big waves of George’s Riffle. These rapids are at the western entrance to First Canyon (Ala Tthe Zhíhgojʔa). We will camp near its end at Lafferty Creek. We spend the day hiking up Lafferty Creek canyon to view some of the hundreds of caves in the area. After the waves of Lafferty’s Riffle, we take a quick dip in Kraus’ Hotsprings (Tułetsęę) before bidding farewell to the canyons and entering the braided channels of The Splits. Here a broad valley is revealed and the surrounding mountains, ridge piled upon ridge, form a dramatic contrast to the enclosure of the canyons. Lush boreal forest bordered by steep ridges form a “storybook” setting. Stopping in the village we will have an opportunity to see this traditional community. Here we board a charter plane for our flight down the Liard Valley back to Fort Simpson (Lįįdłįį Ku ́e). You will need to book accommodation for this final night in Fort Simpson (Lįįdłįį Ku ́e). The group can meet for dinner at a restaurant in town for a final farewell meal and good-bye to your guides (accommodation and meal not included). 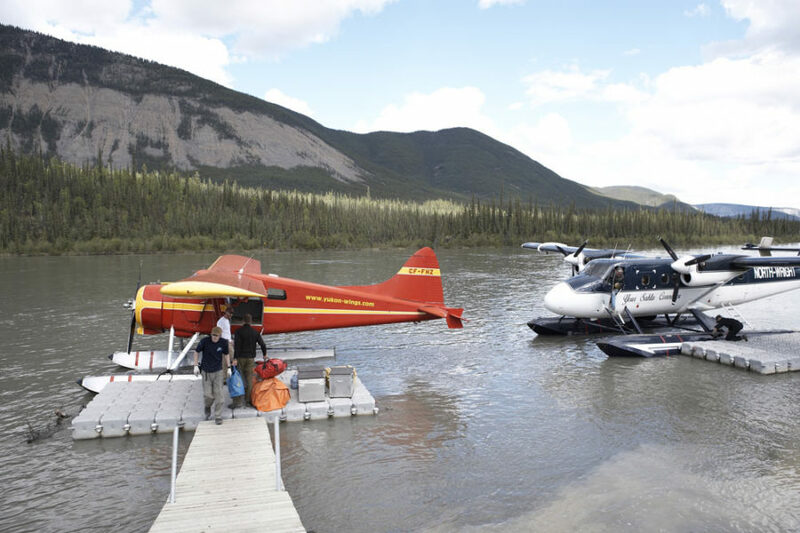 After a relaxing morning and time to look around the Village of Fort Simpson (Lįįdłįį Ku ́e), you will board your homeward plane with a load of fond memories and a relaxed and renewed spirit! This has been a trip that I will never forget. 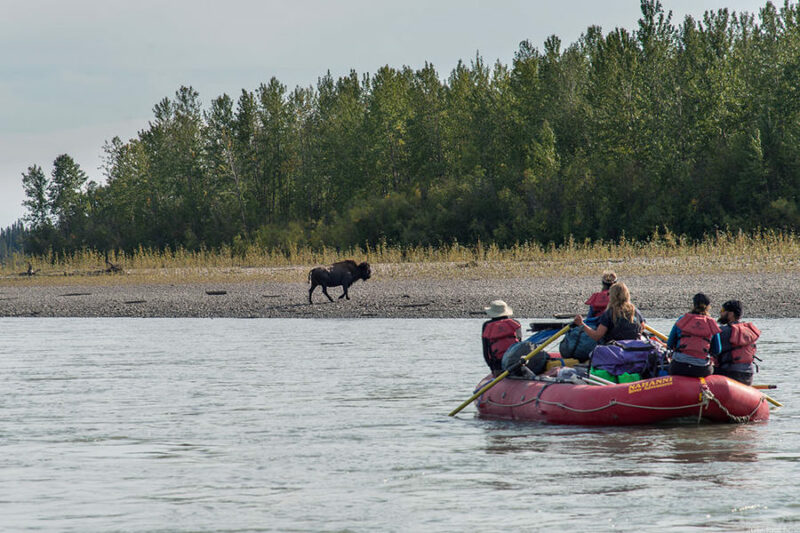 The entire outdoor experience was enhanced by the professionalism & personalities of the guides. They were fantastic. We’ll be back! 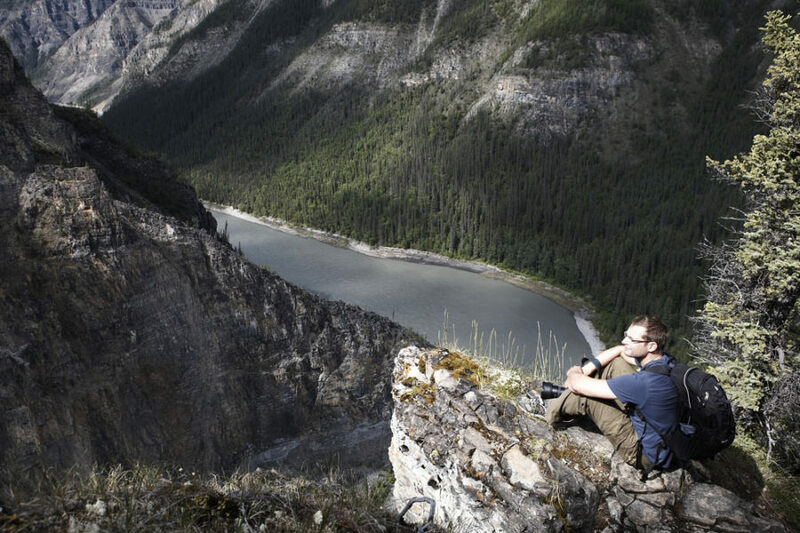 The beauty of the Nahanni caused me to reconsider the thesis that perfection is only in heaven. The trip exceeded my expectations. Traveling alone was never a concern, because once I met the guides and my group, I never felt alone again. I can hardly wait to do it again. The guides were such wonderful people. Vibrant, funny, bright, strong, co-operative, patient & supportive. They made the trip what it was. 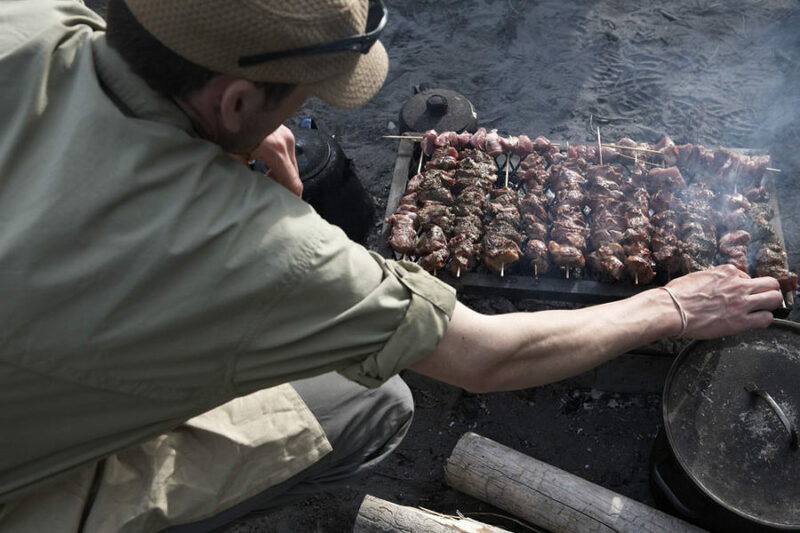 This was an unforgettable experience not only due to the phenomenal river scenery, but also to our intrepid guides who were very well informed; excellent cooks and became special friends. Thanks Lara, Graeme & Scott. Keep in touch. 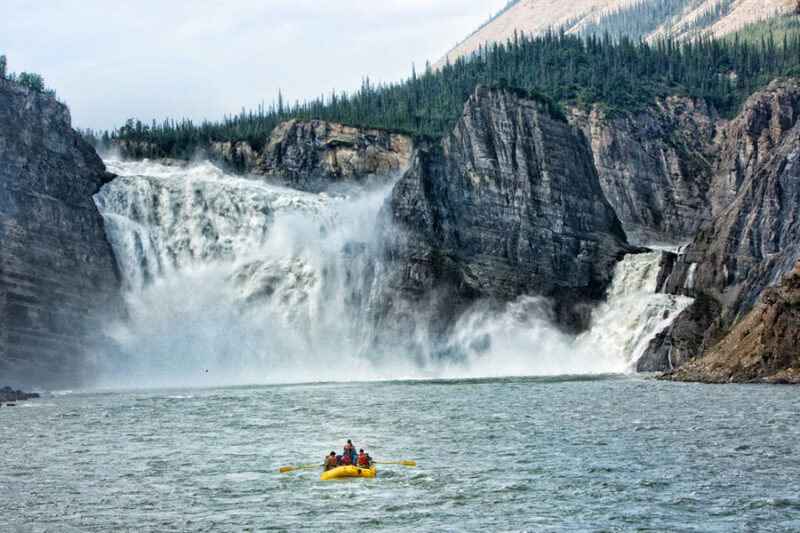 What could be better then seeing the Nahanni with the man who wrote the book? 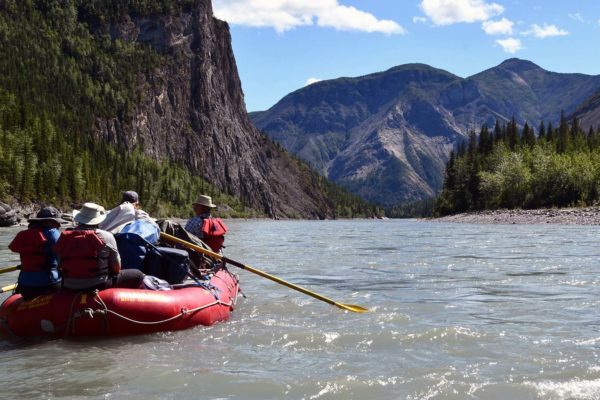 Traveling the Nahanni was the highlight of our many travels. 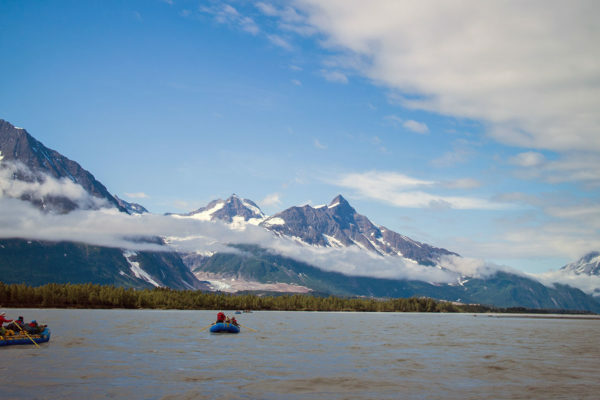 We all have an obligation and duty to protect and expand the park for future generations. I had so much fun relaxing and enjoying the fantastic scenery and history of the park. Thank you for the best time I’ve ever had. This was a worry/hassle free trip; A wonderful experience from start to finish. 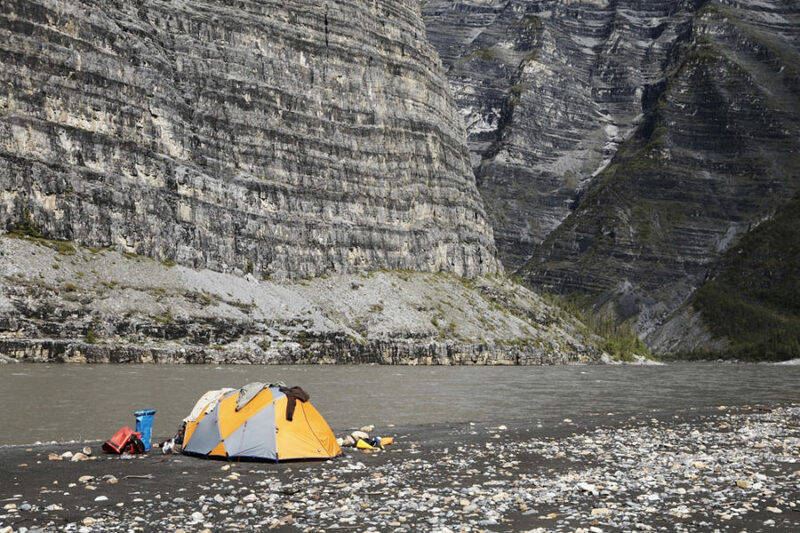 An amazing trip down Canada’s jewel of a river, The Nahanni. Excellent guides and great guests made for great time. Thank you. I have been very lucky over the years in my choice of outfitters for adventure travel. But NRA is the star-of-the-art in environmentally responsible wilderness guiding. Many thanks for making this a perfect trip. We will definitely be doing business with you again. The guides were amazing with their judgment, personalities and especially their fantastic cooking and work ethic. Anyone who goes on this trip will have a great time. The trip of my life; Memories to treasure. An awe-inspiring complete get away with challenge and relaxation.